Anchor Hocking's Sandwich pattern is one of the most recognized Hocking patterns. The Forest Green pieces were made during the mid 1950's. Offered here is the sugar bowl in Forest Green in excellent condition. See my other listings for more in this pattern in crystal and Forest Green. 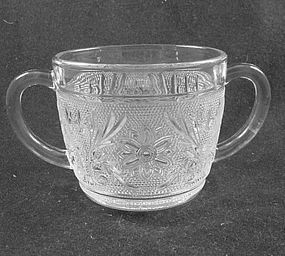 Anchor Hocking's Sandwich pattern is one of the most recognized Hocking patterns. The Forest Green pieces were made during the mid 1950's. 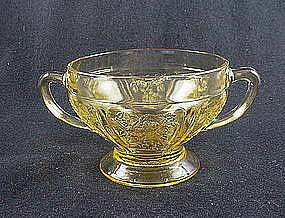 Offered here is the sugar bowl in crystal in excellent condition. I have 2 available, price is per bowl. See my other listings for more in this pattern in crystal and Forest Green. 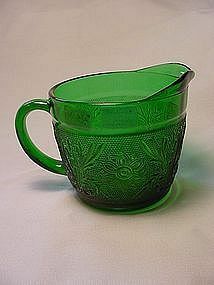 Sharon is one of the most widely recognized and collected depression glass patterns. 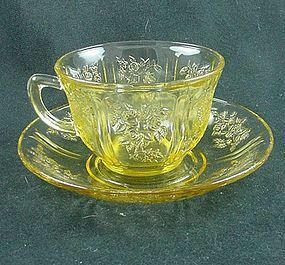 Made by Federal Glass from 1935 to 1939, it is popular in pink, green and amber. Offered here is the creamer in amber. Excellent condition. 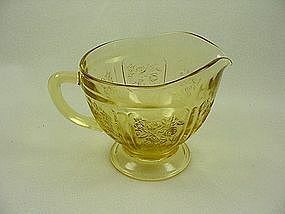 See my other listings for more Sharon items in various colors, including the matching sugar bowl. 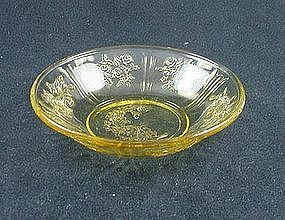 Sharon is one of the most widely recognized and collected depression glass patterns. 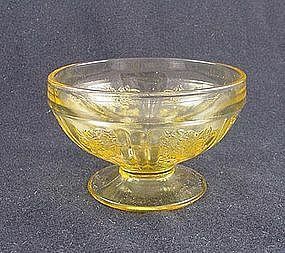 Made by Federal Glass from 1935 to 1939, it is popular in pink, green and amber. 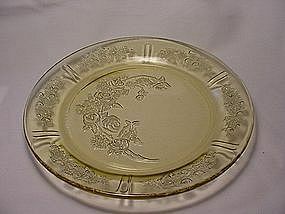 Offered here is the 9 1/2 inch dinner plate in amber. I have 2 available, price is per plate. See my other listings for more Sharon items in various colors. 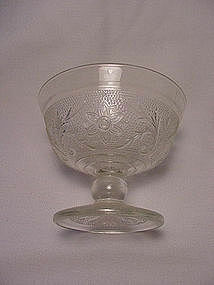 Sharon is one of the most widely recognized and collected depression glass patterns. 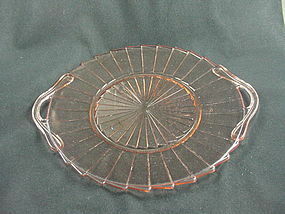 Made by Federal Glass from 1935 to 1939, it is popular in pink, green and amber. 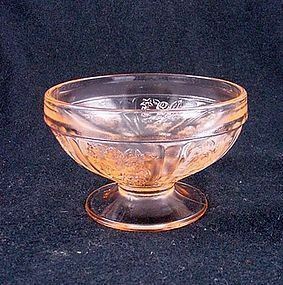 Offered here is the footed sherbet bowl in amber in excellent condition. I have 7 available, price is per sherbet. See my other listings for more Sharon items in various colors. 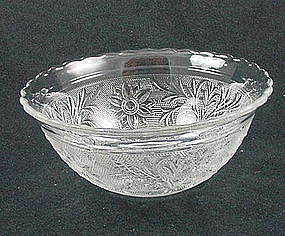 Sharon is one of the most widely recognized and collected depression glass patterns. 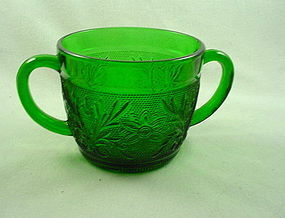 Made by Federal Glass from 1935 to 1939, it is popular in pink, green and amber. 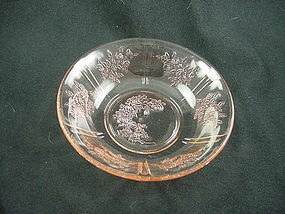 Offered here is the 4 1/2 inch berry bowl in amber in excellent condition. I have 12 available, price is per bowl. See my other listings for more Sharon items in various colors. 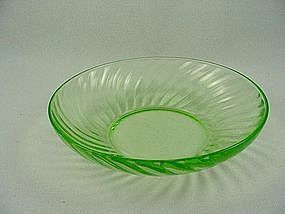 Sharon is one of the most widely recognized and collected depression glass patterns. 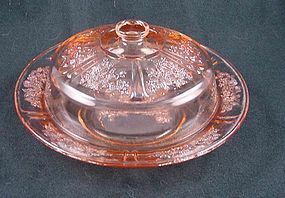 Made by Federal Glass from 1935 to 1939, it is popular in pink, green and amber. 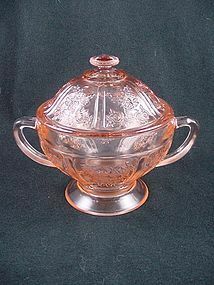 Offered here is the sugar bowl in amber. Excellent condition. See my other listings for more Sharon items in various colors, including the matching creamer. The Spiral pattern was produced by many different companies during the Depression. 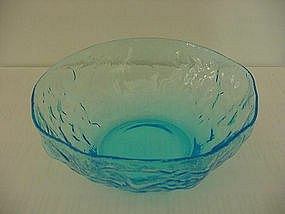 Offered here is a 5 1/2 inch berry bowl that was produced by Hocking Glass during the 1930's. This size is very hard to find - it actually measures 5 3/8 inches in diameter, though it's listed as the 5 1/2 inch size. (1/4 inch fluctuations are common with Hocking's Spiral.) Excellent condition, I have 10 available. Price is per bowl. See my other listings for more in this pattern.